We will understand, if we don't already, that it is Yahweh's Spirit at work to accomplish and finish the work He has started in the Body of Messiah. And He came to the disciples and found them sleeping, and said to Peter, “So, you men could not keep watch with Me for one hour? Keep watching and praying that you may not enter into temptation; the spirit is willing, but the flesh is weak,” Matthew 26:40-41 NASB. Yahshua, in the Garden of Gethsemane, though grieved, appeared that He was teaching a profound truth about the difference between the Spirit and the flesh. It could also be that He’s not speaking directly about the Spirit of Yahweh, but more of the mind and spirit of a person which is different than just the flesh of a person. The disciples, for example, were willing to come and submit to the Master, but their flesh was weak and caused them to sleep. 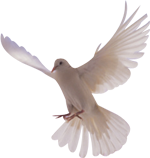 After the death and resurrection of Yahshua, the actual Spirit of Yahweh was offered. It’s the same Spirit Yahshua had. If we consider this particular Scripture verse, He could have been referring to Himself versus His disciples. Nevertheless, their weakness would be helped by the Spirit Yahshua would soon provide. It was foretold to happen, and we are now witnesses to the fact some 2000 years later. “For this is the covenant that I will make with the house of Israel after those days,” declares Yahweh: “I will put My law within them, and I will write it on their hearts. And I will be their Elohim, and they shall be My people," Jeremiah 31:33 ESV. This is speaking about the Spirit being given to us today in the New Covenant. Different than just being told about the Law of Yahweh, it will be written on our hearts by the very Spirit of Yahweh, to submit to His ways, laws, statutes, and judgments. This very thing we read about in Ezekiel 36:26, which is a bit of a parallel prophecy speaking of what the purpose for the Spirit being given to us is. Moreover, I will give you a new heart and put a new spirit within you; and I will remove the heart of stone from your flesh and give you a heart of flesh, NASU. I delight to do Your will, O my Elohim; your Law is within my heart. The Spirit was helping him to be obedient, and the Spirit is given to us for the same reason. With us, it is a cutting of a New Covenant, through Yahshua’s sacrifice, which provides not only all the help we need to overcome the world and ourselves, but also to receive the promise of eternal life. And I will pray the Father, and He will give you another Helper, that He may abide with you forever— the Spirit of Truth, whom the world cannot receive, because it neither sees Him nor knows Him; but you know Him, for He dwells with you and will be in you, John 14:16–17 NKJV. How can we conform to the Spirit unless we recognize it working within us? We can start by being obedient to Yahweh’s Word. Therefore, do not be foolish, but understand what Yahweh’s will is. Do not get drunk on wine, which leads to debauchery. Instead, be filled with the Spirit, Ephesians 5:17–18 NIV. If a person is filled with wine, then, obviously, they will recognize they are filled with wine. Hence, if a person is filled with the Spirit of Yahweh, they will recognize that they are. Others should also recognize it, by the actions of the person. What are those actions? Now he who keeps His commandments abides in Him, and He in him. And by this we know that He abides in us, by the Spirit whom He has given us, 1 John 3:24 NKJV. As a person is called by Yahweh and seeks Him with their whole heart, they will start to be obedient to Him. Through the gift of the Spirit, they will be even more engrafted into the law of Yahweh and His ways, because the Spirit is guiding and directing their heart and mind. This is why Yahshua said that He did nothing of Himself, but only the will of Him Who sent Him. The reason for this is that He had the fullness of Yahweh’s Spirit. We’re given a down payment of this Spirit when we were baptized. Through obedience, it should be growing within us so that we recognize it and submit and conform to it. And by doing so, we’ll walk as Yahshua walked, because we’ll be conforming to Him as He submitted to the Spirit of Yahweh producing the fruit of the Spirit. For this reason I bow my knees before the Father, from Whom every family in heaven and on earth is named, that according to the riches of His glory He may grant you to be strengthened with power through His Spirit in your inner being, so that Messiah may dwell in your hearts through faith—that you, being rooted and grounded in love, may have strength to comprehend with all the saints what is the breadth and length and height and depth, and to know the love of Messiah that surpasses knowledge, that you may be filled with all the fullness of Elohim, Ephesians 3:14-21 ESV. Do you really understand? If you do not recognize the working of the Spirit within you and in your life, helping you to be obedient to the Father in the Messiah Yahshua, then it’s time to fast and pray more earnestly for spiritual growth. It’s time to examine your life and see what things there might be that are hindering growth of Yahweh’s Spirit within you. We're speaking, of course, not only to those who are baptized, but also those who are being called to bow their knees and hearts before Yahweh and ask for the help of His Spirit to be present in their lives to help them come to full repentance and submission to His ways and to be baptized and have that same Spirit implanted deep within the heart (which is, essentially, the core being of the person). Don’t go back to sin, which is promoted through Satan’s spiritual influence. And you were dead in trespasses and sins, in which you once walked according to the course of this world, according to the ruler of the authority of the air, of the spirit that is now working in the sons of disobedience, among whom also we all once lived in the lusts of our flesh, doing the desires of the flesh and of the mind, and were by nature children of wrath, as also the rest, Ephesians 2:1–3 TS. "Son’s of disobedience" is not a title we want. We want the title of "obedient children"; we want the title of "Saints." It’s ours if we submit to Yahweh’s Spirit, even the title "children of Yahweh." Therefore put to death your members which are on the earth: fornication, uncleanness, passion, evil desire, and covetousness, which is idolatry. Because of these things the wrath of Elohim is coming upon the sons of disobedience, in which you yourselves once walked when you lived in them, Colossians 3:5-7 NKJV. For if you live according to the flesh, you are going to die; but if by the Spirit you put to death the deeds of the body, you shall live. For as many as are led by the Spirit of Elohim, these are sons of Elohim. So, what does it mean to live according to the flesh? The acts of the flesh are obvious: sexual immorality, impurity and debauchery; idolatry and witchcraft; hatred, discord, jealousy, fits of rage, selfish ambition, dissensions, factions and envy; drunkenness, orgies, and the like. I warn you, as I did before, that those who live like this will not inherit the kingdom of Elohim. In living a life for Yahweh, we must overcome our former life of sin and put it far behind us. Doing this is accomplished through the indwelling of the Spirit of Yahweh and our humble submissive attitude toward Him. Those who live according to the flesh have their minds set on what the flesh desires; but those who live in accordance with the Spirit have their minds set on what the Spirit desires. The mind governed by the flesh is death, but the mind governed by the Spirit is life and peace, Romans 8:5–6 NIV. How important is it to recognize the Spirit within us and submit and conform to it? Overcoming the flesh with the Spirit brings life, even eternal life. The opposite is true concerning the flesh and living according to it. But I say, walk by the Spirit, and you will not carry out the desire of the flesh. For the flesh sets its desire against the Spirit, and the Spirit against the flesh; for these are in opposition to one another, so that you may not do the things that you please, Galatians 5:16-17 NASB. If the Spirit is in opposition to the flesh, then the Spirit is going to help prevent you from living in the flesh. But, this is done only if you make the decision to live according to the Spirit. This means you must recognize that Yahweh’s Spirit is working within you and then conforming to the Spirit of Yahweh. Otherwise, you will be conforming to the influence of satan and carrying out the things of the flesh which leads to death, even eternal death. For he that soweth to his flesh shall of the flesh reap corruption; but he that soweth to the Spirit shall of the Spirit reap life everlasting. And let us not be weary in well doing: for in due season we shall reap, if we faint not, Galatians 6:8-9 KJV. If we sow to the Spirit, if we submit and conform, then we won’t faint, we won’t give up and walk away. Remember, "if” is conditional. Additionally, we’ll also gain the spiritual attributes above and beyond the basic laws of Yahweh. We’ll be growing in the very character of Yahweh and of the Messiah. Therefore, as the elect of Elohim, holy and beloved, put on tender mercies, kindness, humility, meekness, longsuffering; bearing with one another, and forgiving one another, if anyone has a complaint against another; even as Messiah forgave you, so you also must do. But above all these things put on love, which is the bond of perfection. And let the peace of Elohim rule in your hearts, to which also you were called in one body; and be thankful. Let the word of Messiah dwell in you richly in all wisdom, teaching and admonishing one another in psalms and hymns and spiritual songs, singing with grace in your hearts to the Master, Colossians 3:12-16 NKJV. Emphasizing the spiritual attributes within our lives by conforming to the Spirit is one of the greatest blessings in this life, because it is these attributes and character traits of the Spirit which we can take with us into eternal life. All the negative and wrong fleshly attributes will be left behind. So, it’s important to understand what the fruit of the Spirit is and have these things in abundance. But the fruit of the Spirit is love, joy, peace, forbearance, kindness, goodness, faithfulness, gentleness and self-control. Against such things there is no law, Galatians 5:22-23 NIV. There is no law stating you cannot have love or joy or peace. In fact, obeying the law in many respects produces these very things. Think of it this way: the Spirit helps one to keep the law of Yahweh which in return produces the fruit of the Spirit. Conforming to the Spirit of Yahweh helps us to conform to the law, which in turn produces good character traits which can be taken into eternal life. To say, however, that we can just conform to the law of Yahweh and be saved is not accurate because we are only saved through Yahshua’s sacrifice. This is why the saints are said to have both attributes of commandment keeping and also hold to the testimony and faith of Yahshua in both Revelation 12:17 and 14:12. So the dragon was enraged with the woman, and went off to make war with the rest of her children, who keep the commandments of Yahweh and hold to the testimony of Yahshua, Rev. 12:17 NASU. Here is the perseverance of the saints who keep the commandments of Yahweh and their faith in Yahshua, Rev. 14:12 ASU. We need to be obedient, we need to also have faith that Yahshua’s sacrifice cleansed us from our previous sins. And for this reason do your utmost to add to your belief uprightness, to uprightness knowledge, to knowledge self-control, to selfcontrol endurance, to endurance reverence, to reverence brotherly affection, and to brotherly affection love. For if these are in you and increase, they cause you to be neither inactive nor without fruit in the knowledge of our Master Yahshua Messiah. For he in whom these are not present is blind, being shortsighted, and has forgotten that he has been cleansed from his old sins, 2 Peter 1:5-9 TS. This says a lot; it says that the law wasn’t done away with when you consider that “old sins” is lawbreaking, 1 John 3:4. You also cannot have uprightness without obedience to the commandments of Yahweh. If anyone loves Me, he shall guard My Word. And My Father shall love him, and We shall come to him and make Our stay with him. He who does not love Me does not guard My Words. And the Word which you hear is not Mine but of the Father Who sent Me. These Words I have spoken to you while still with you. But the Helper, the Set-apart Spirit, whom the Father shall send in My Name, He shall teach you all, and remind you of all that I said to you, John 14:23-26 TS. It’s said that the word of Yahweh is as a double-edged sword, able to discern and judge the thoughts and intentions of the heart. Hence, if you are about to step out of line and Yahweh’s Spirit is strong within you, you will be reminded of the Master’s own words. We do believe this is applicable to us today and not just to the dis-iples of the 1st century. The question is, will we conform to the Spirit of Yahweh, which is also found in Yahshua the Messiah? That is, in such a way that we will be able to discern the Spirit and the Master in our own lives and receive the help we need. And it is my prayer that your love may abound more and more, with knowledge and all discernment, so that you may approve what is excellent, and so be pure and blameless for the day of Messiah, filled with the fruit of righteousness that comes through Yahshua Messiah, to the glory and praise of Elohim, Philippians 1:9-11 ESV. It cannot be emphasized enough that we need to conform to the Spirit and to Yahweh’s ways by walking in the Master’s footsteps. And do not be conformed to this world, but be transformed by the renewing of your mind, so that you prove what is that good and well-pleasing and perfect desire of Elohim, Romans 12:2 TS. The renewing of our minds means to conform to Yahweh’s Spirit and ways of living this life and the next. Not just talking the talk but thinking it and walking it. We’ve talked about maturing in the stature of Messiah. What we’re talking about is growing in the Spirit and being as the Messiah in word and action. We are still individuals with individual problems. But, we should be individuals who are allowing the Messiah to grow within us as we confirm we are in Messiah. My little children, of whom again I travail in birth, till Messiah may be formed in you. The Apostle Paul was in anguish, like birth pains, trying to make sure he was doing all that he could to encourage the brethren to grow in Messiah, or as he put it here, that “Messiah may be formed in you.” This is quite a dramatic and profound statement, which is founded in fact. It is the reality we find today, that Yahshua is in us and helping us to grow and He Himself is growing within us. Paul spoke about how Moses had to cover himself to prevent the esteem of Yahweh from being viewed and overwhelming the people when he had come down from the presence of Yahweh. But, today, we have a portion of the Shekinah glory and presence within us through the Messiah. So all of us who have had that veil removed can see and reflect the glory of Yahweh. And Yahweh—Who is the Spirit—makes us more and more like Him as we are changed into His glorious image, 2 Corinthians 3:18 NLT. A whole debate could take place at this point about the so called "Trinity," but we hope and trust we do not need to continue to argue or debate what the Spirit is. Scripture says Yahweh is the Spirit. It’s the Spirit by which the Messiah lives and by which we can also live if we submit to Yahweh. See our indepth studies on, "The Truth about the Trinity" and "Did the Savior Pre-exist?" Beloved ones, now we are children of Elohim. And it has not yet been revealed what we shall be, but we know that when He is revealed, we shall be like Him, for we shall see Him as He is, 1 John 3:2 NKJV. Yahshua, of course, is the exact representation of Yahweh. He is now at His right hand, is also, through the power of Yahweh’s Spirit, able to be in us. For now we see in a mirror dimly, but then face to face; now I know in part, but then I will know fully just as I also have been fully known, 1 Corinthians 13:12 NASB. We are fully known to Messiah and also to Yahweh, but we will not fully and completely know Them until Yahshua returns and we are changed in a twinkling of an eye. In the mean time, we have an opportunity to conform to and to grow in Messiah in the Spirit of Yahweh. This means we will be growing in Spiritual and lawful attributes, and leaving fleshly desires in the past. But now you yourselves are to put off all these: anger, wrath, malice, blasphemy, filthy language out of your mouth. Do not lie to one another, since you have put off the old man with his deeds, and have put on the new man who is renewed in knowledge according to the image of Him Who created him, where there is neither Greek nor Jew, circumcised nor uncircumcised, barbarian, Scythian, slave nor free, but Messiah is all and in all, Colossians 3:8–11 NKJV. Can we hear what the Spirit is saying to the assemblies? That is, the people of Yahweh. Grow and overcome, and be conformed to the Spirit of Yahweh in Messiah. No matter what your background is, we are one in Him. Do nothing from selfish ambition or conceit, but in humility count others more significant than yourselves. Let each of you look not only to his own interests, but also to the interests of others. Have this mind among yourselves, which is yours in Messiah Yahshua, Philipppians 2:3–6 ESV. Can we say we have the mind of Messiah? We can, if we are overcoming and drawing closer to Him, being as and thinking as and walking as He did. It’s hard because we still have the pulls of the flesh today. But, thankfully, we have a big Brother Who has walked the walk and talked the talk already to help us to be able to do the same. He walked in human form as a fleshly man, but resisted the flesh and submitted to Yahweh’s Spirit. May we do the same with Yahweh's help.